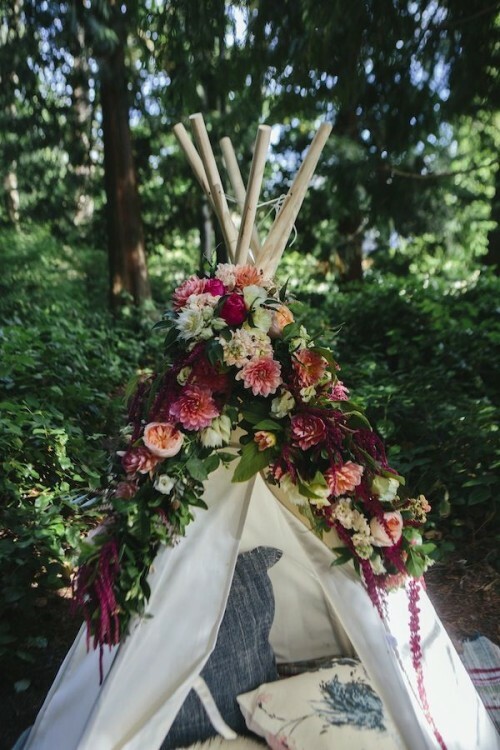 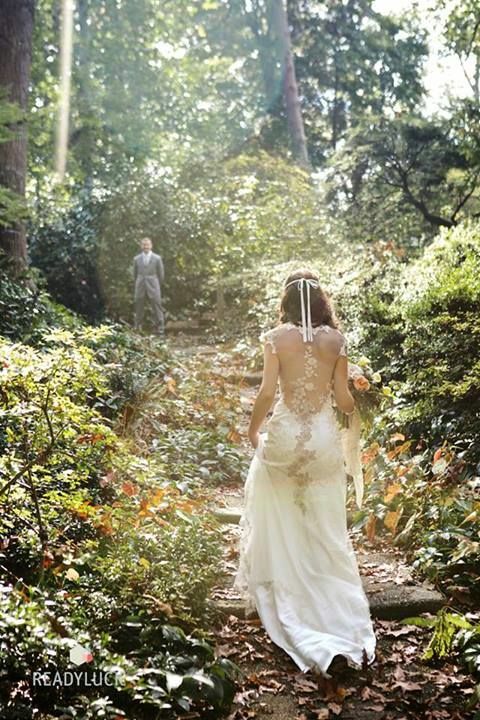 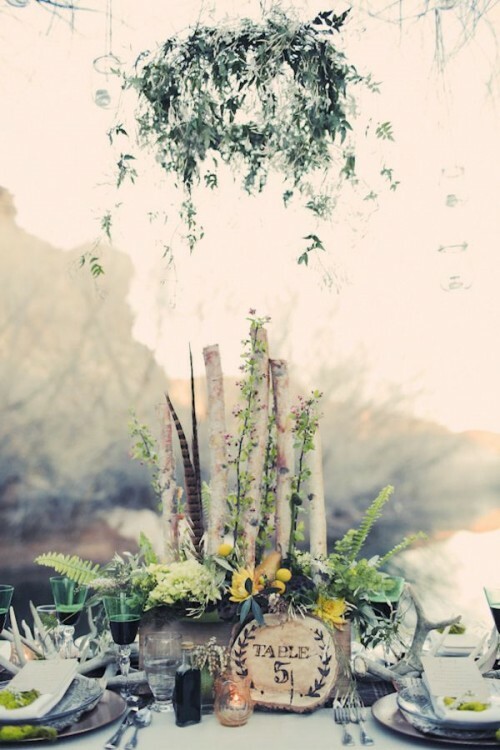 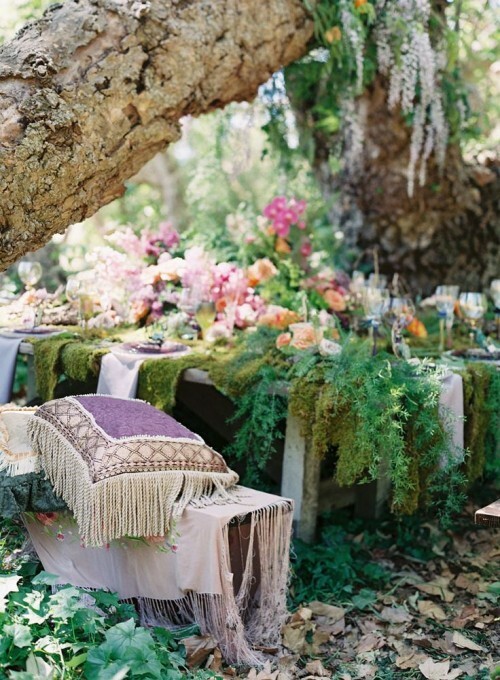 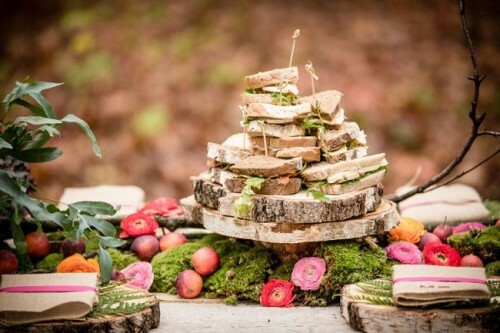 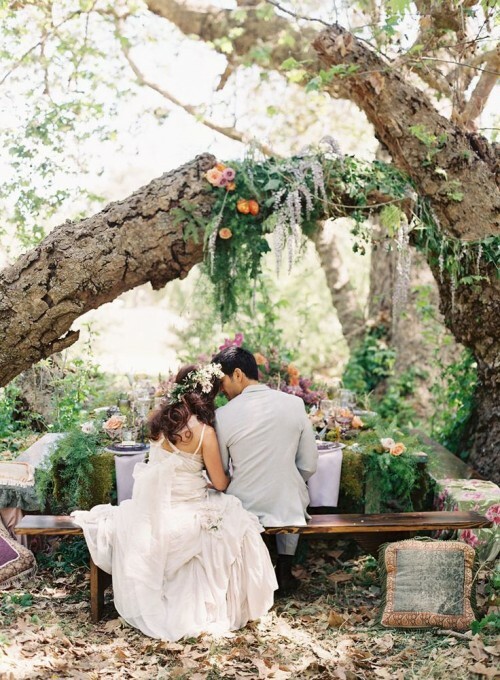 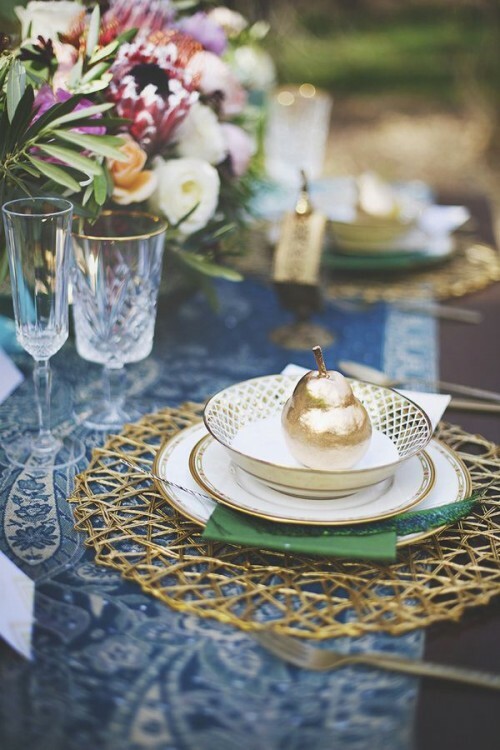 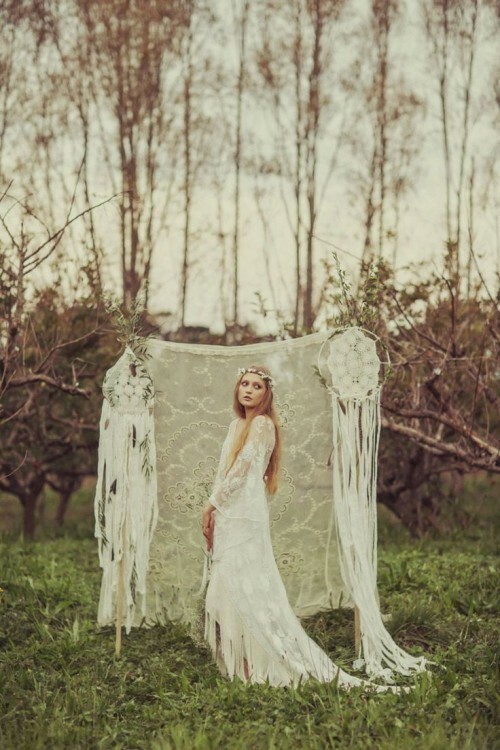 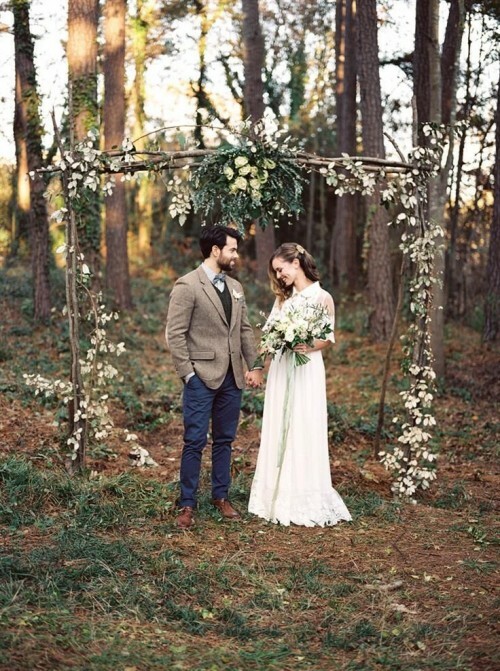 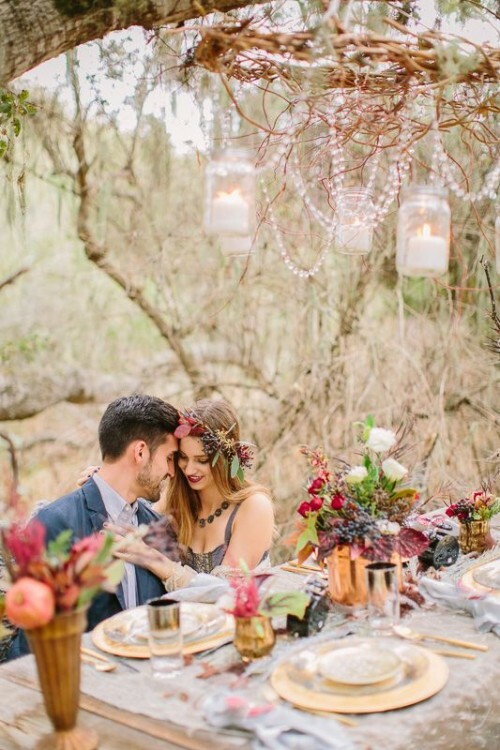 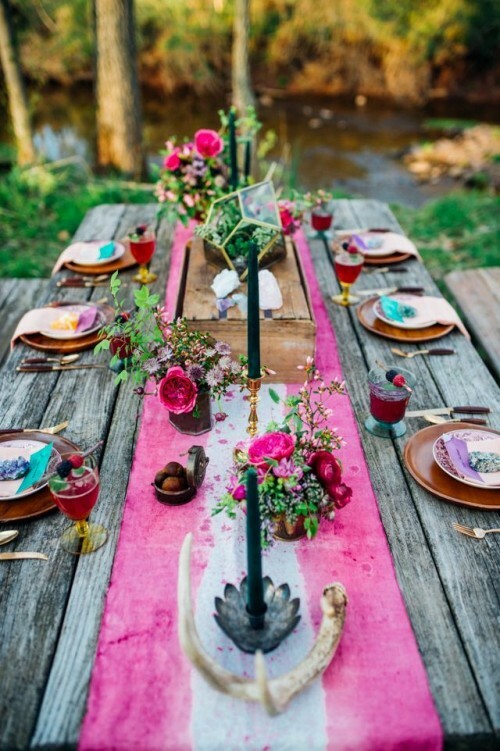 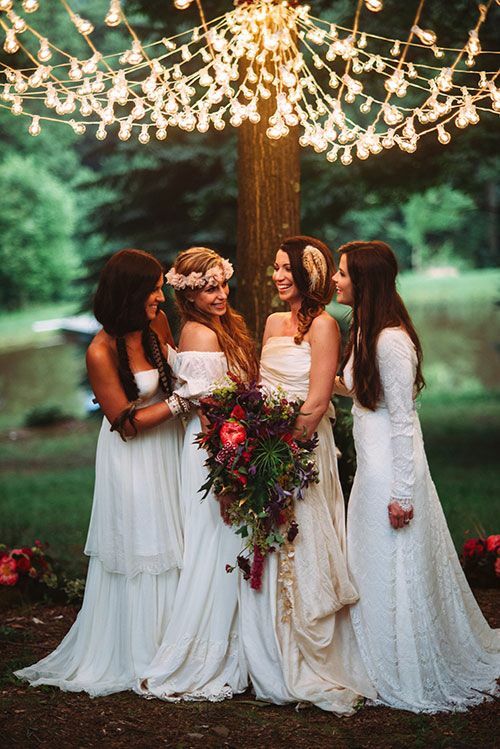 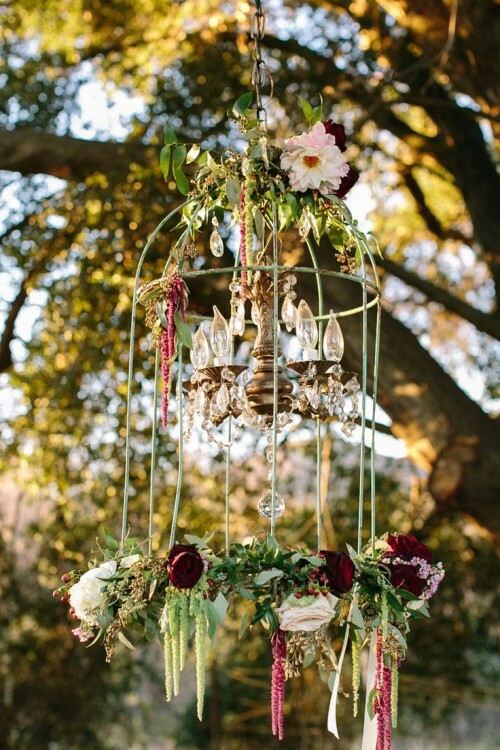 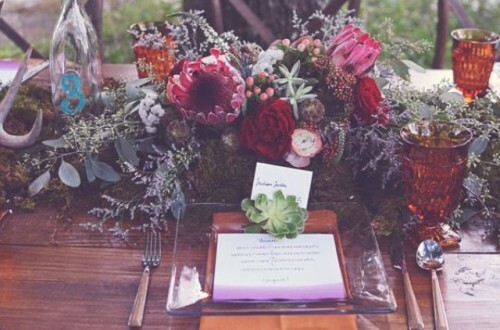 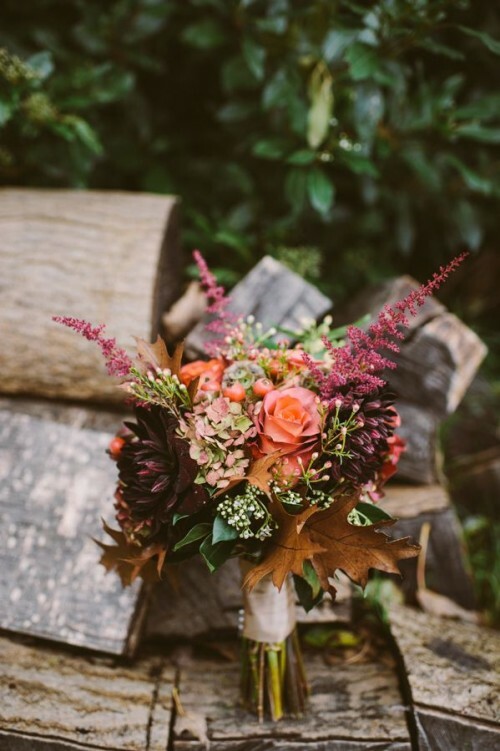 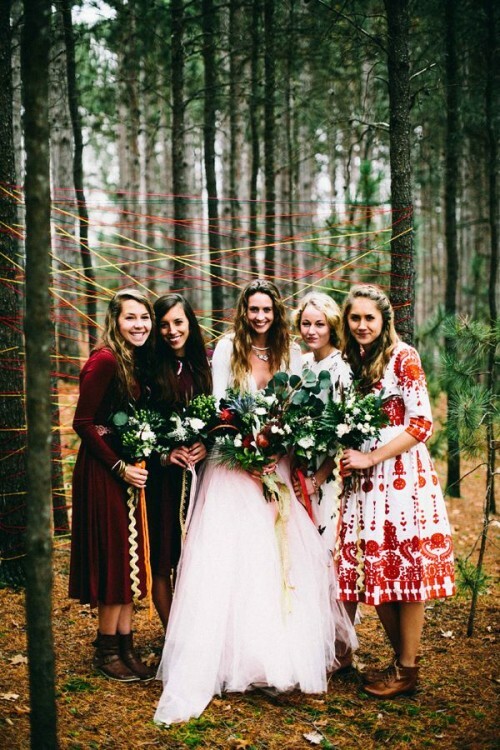 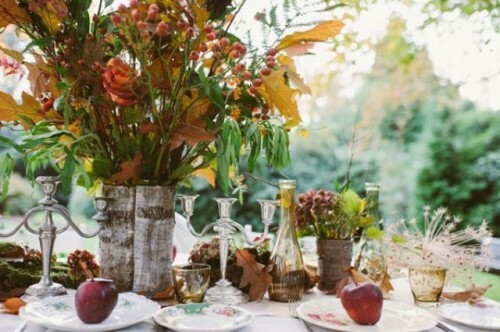 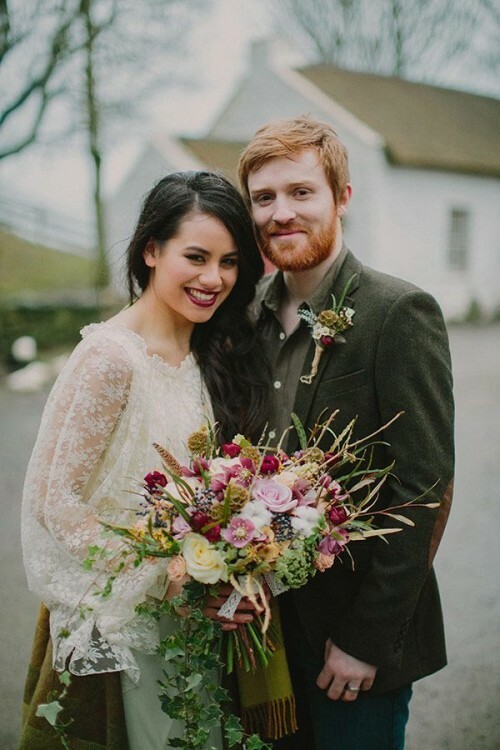 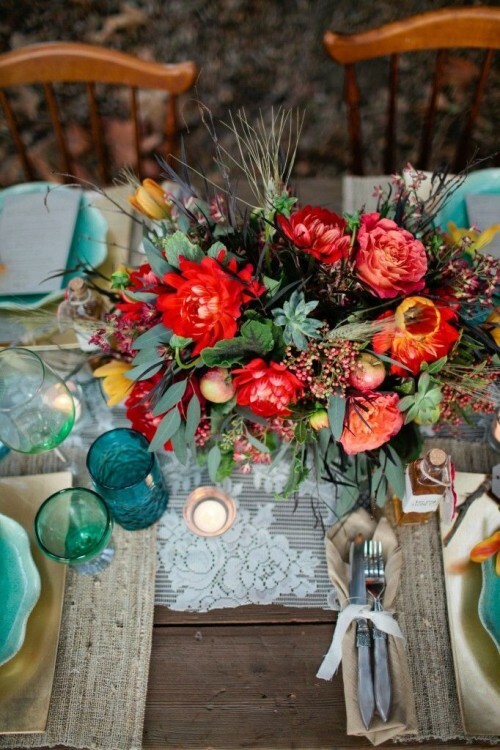 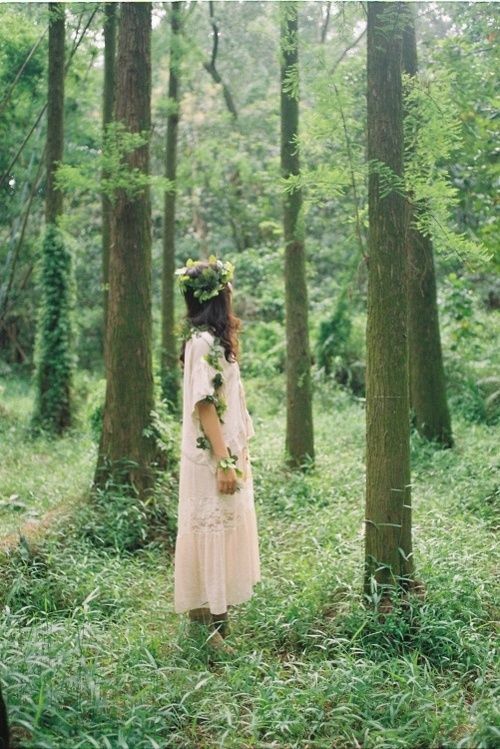 Many woodland weddings are boho ones, and today we’d like to show you how beautiful they are. 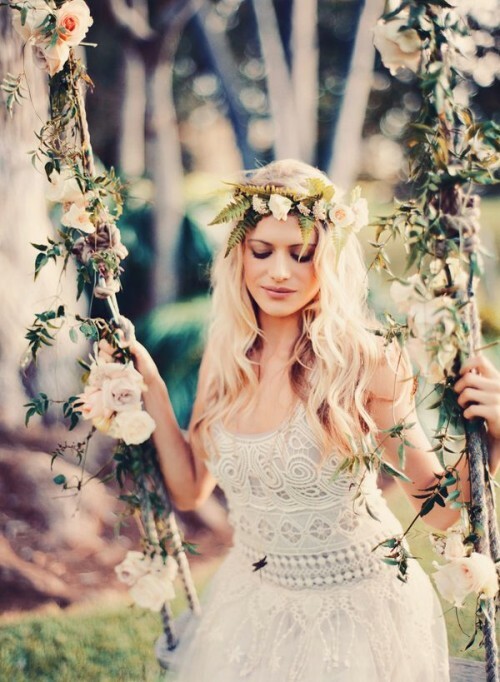 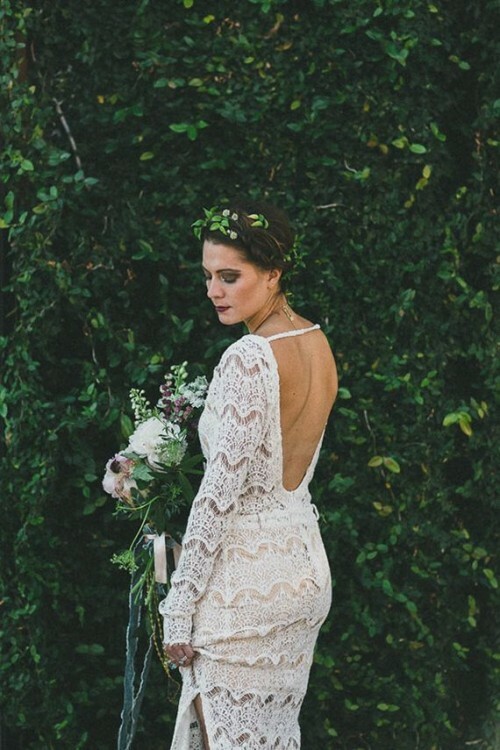 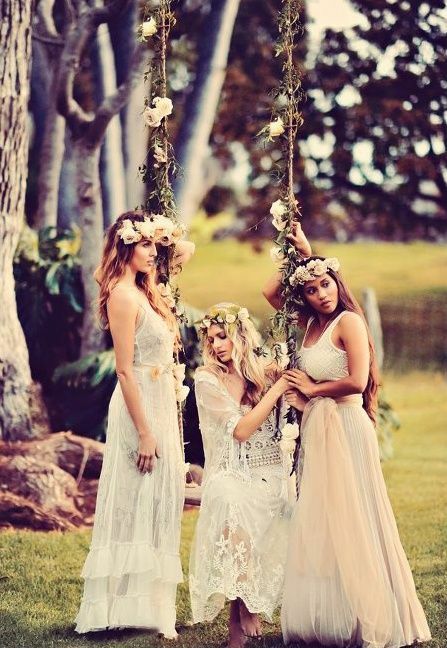 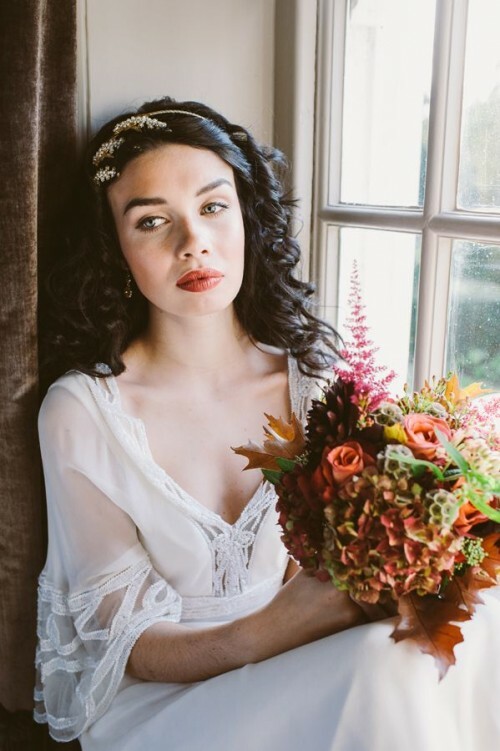 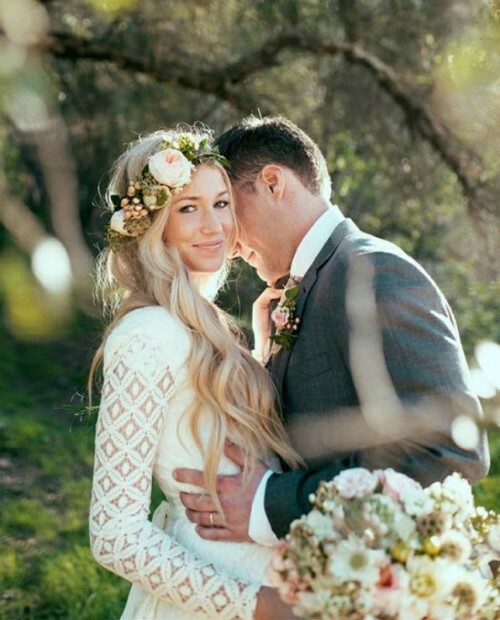 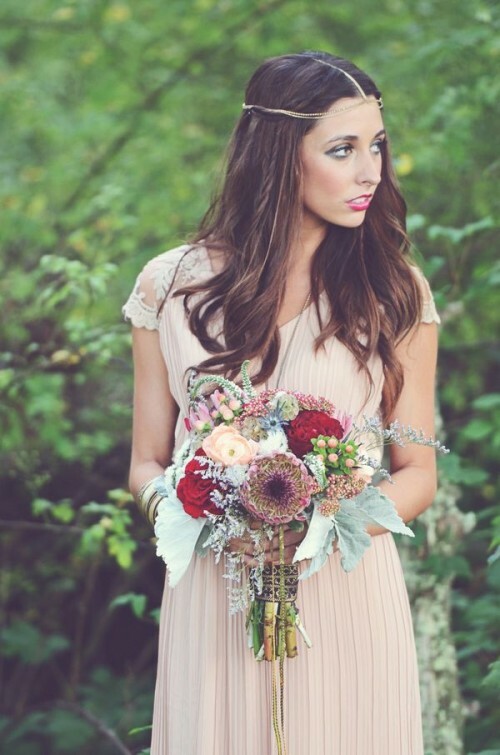 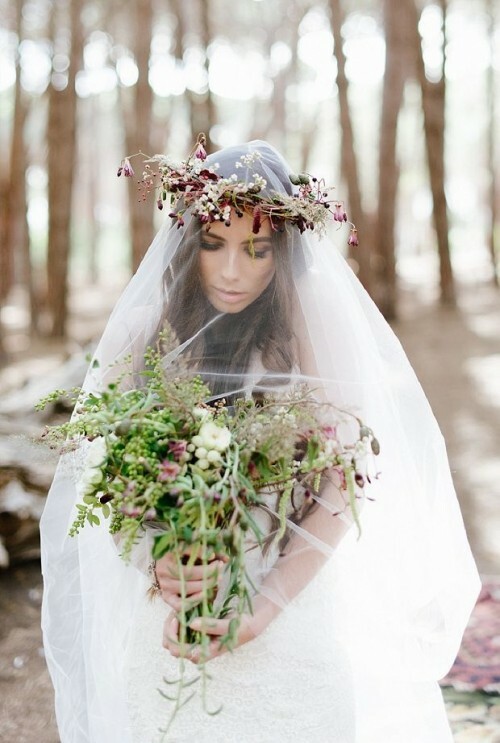 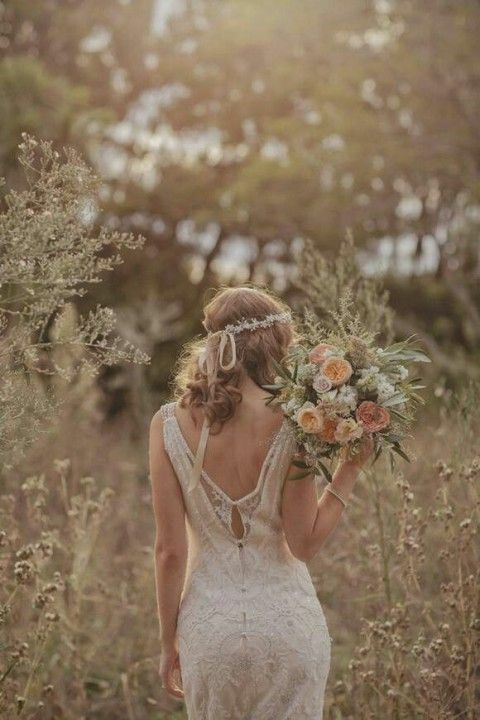 Rock a beautiful boho dress and headpiece, go for a beautiful boho bouquet to make your bridal look complete. 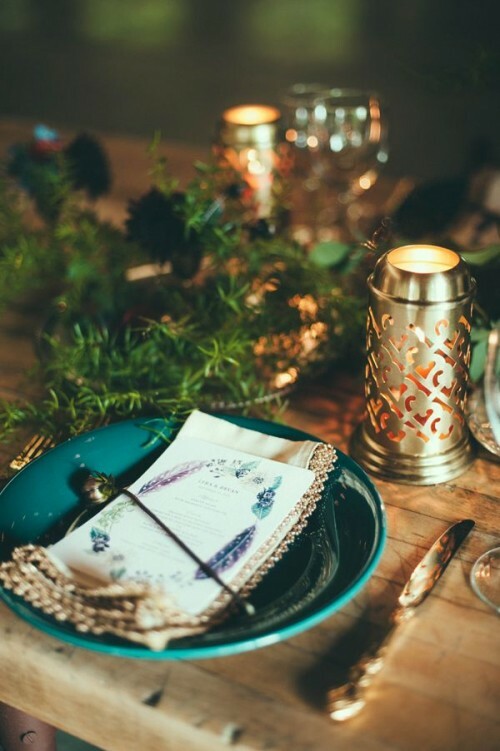 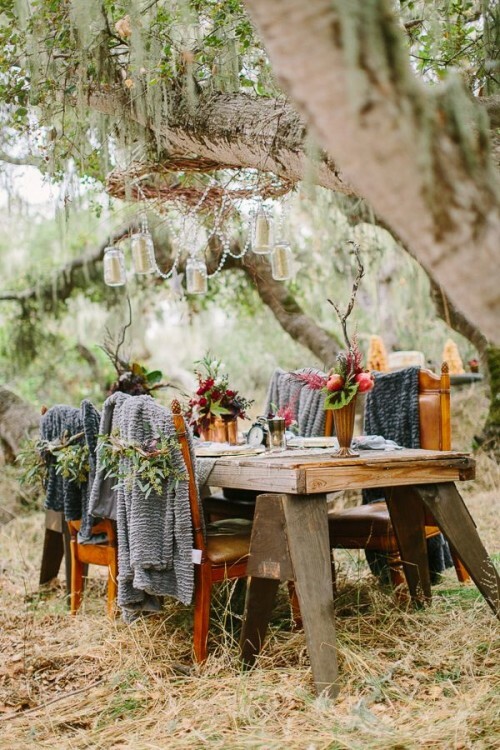 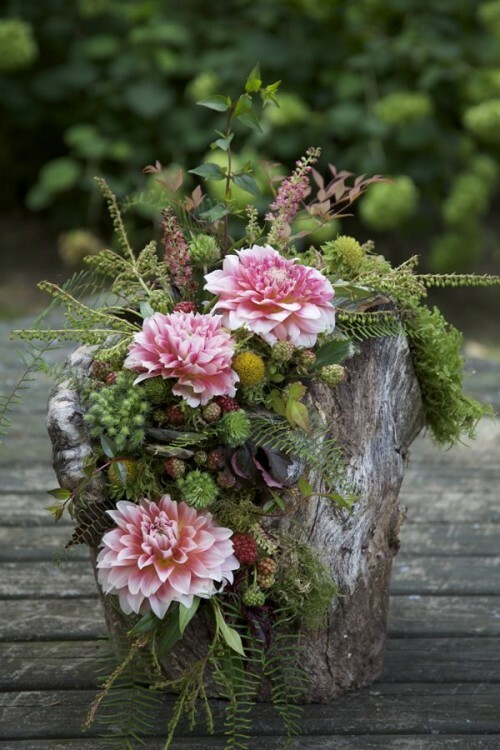 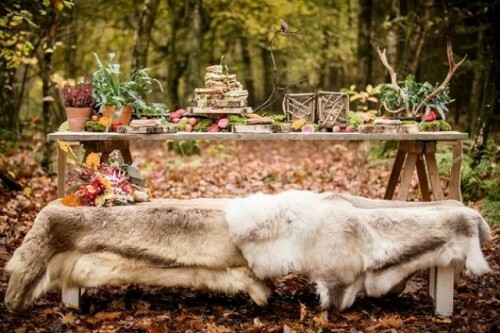 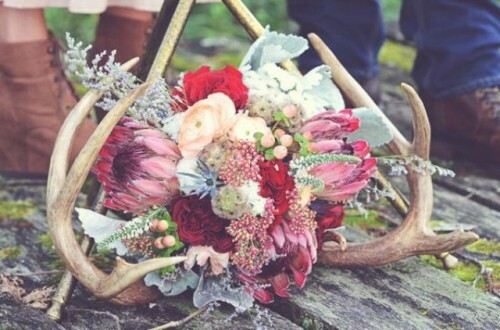 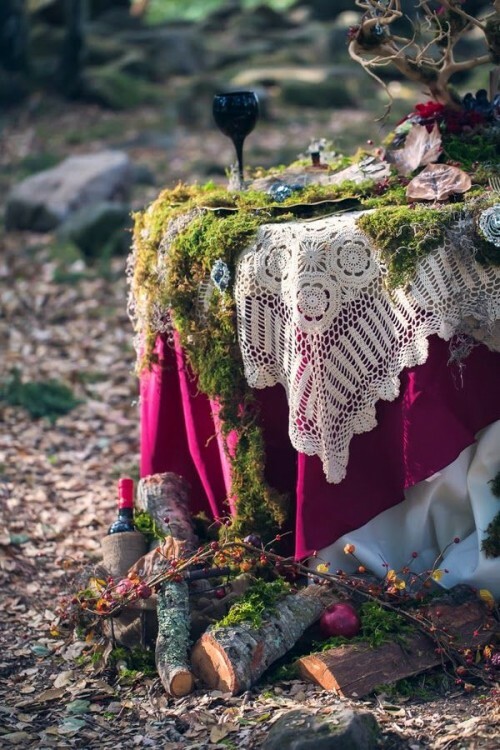 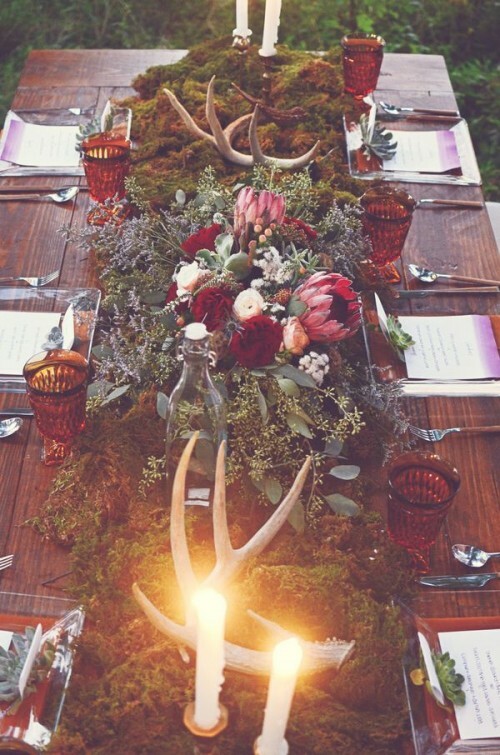 Mix leaves, feathers, berries, antlers and moss to get perfect woodland and bohemian décor. 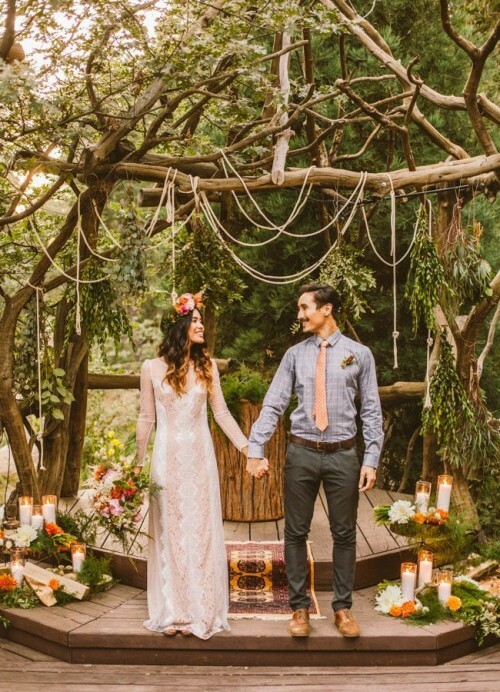 Don’t be afraid to play with bold colors and gypsy motifs if you want to get great boho atmosphere; you can make a picnic on the grass on bright plaids with lots of pillows. 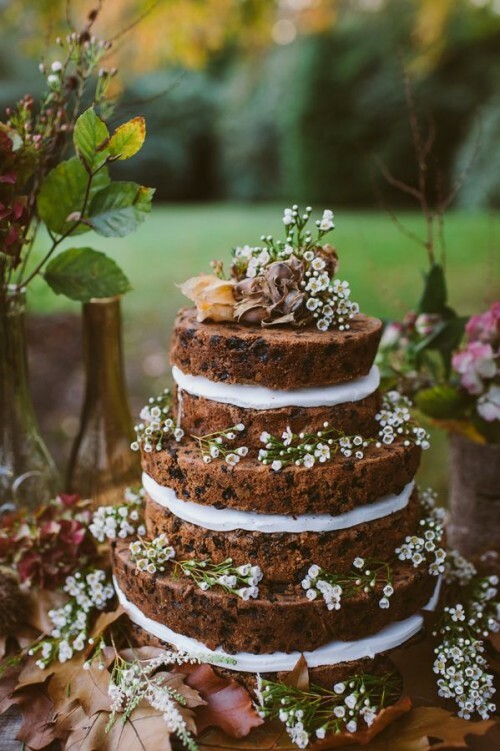 Go for a naked cake and decorate it with wild flowers, berries and feathers to add a final touch. 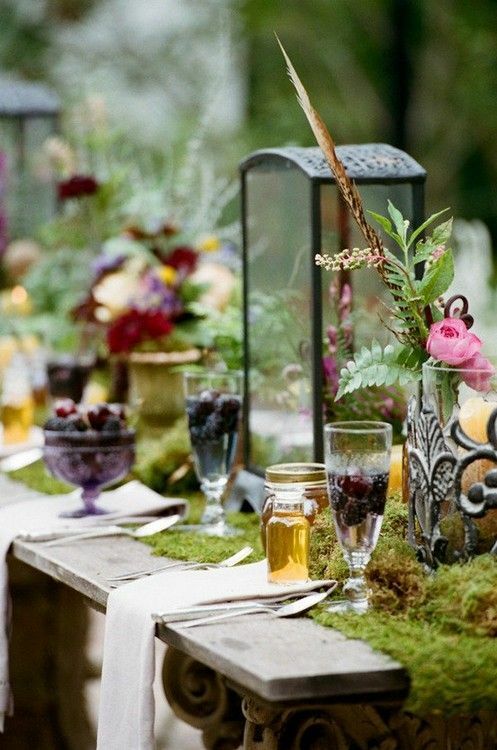 Get inspired by the cool ideas below!